Different organizations follow different dress codes according to the industries but the correlation between professionalism and dress remains strong irrespective of the type of industry. In an evolving corporate world, the working environment allows employees to come in casuals. Some organizations permit on specific days. To showcase their professional image, the top rung of the management (business partners & employees) maintain a business code as they need to constantly interact with prospective clients. Small business organizations benefit a lot by maintaining such professional image which is akin to updating your company profile on your website. If you go to see, one cannot think of a better platform to promote your company other than WWW Word Wide Web. Moreover, if created correctly, the updated websites can be accessible even on the move on laptops and any mobile devices, in addition to desk tops and PCs. The following gives out the reason behind why updating website is as important as a dress code. Your company profile and ethics get reflected when dressed in professional attire. Similarly, if your site presents a professional look by having relevant product details and information about your organization the users will perceive it as top notch. As the confidence of professionalism is displayed in your dress code the updated website also works similarly on those lines.By the way, if your website contains blogs, events etc., which are outdated, remove them quickly as stale contents do not appeal to viewers. It is always a pleasure to view the website effortlessly. Responsive web design allows a user to view the website in any form. Giving importance to mobile device due to its heavy utility, some of the modern business organizations may even design as mobile -first. Updating your website with responsive design is significant because it is quite likely that prospects can be lost if the website does not open fast on the gadgets of the customers choice. Essentially in modern business it has inevitably become one of the important factors to have responsive design. Check for the validity of your source code and also verify whether your website is compatible to meet the required web standards of the evolving market scene.Furthermore, it is important to increase the website usage in order to draw attention of additional customers.Moreover, web design standards and the techniques get amended as they get upgraded to the advanced version regularly. In other words, earlier versions websites which are outdated load slowly thereby making it detrimental to your Google search results. It is a better idea anytime to include CSS coding that helps to adapt on all smartphone devices. The true objectives and vision of your organization is conveyed by your website.Many outdated images find place in the websites of some of the organizations. The first time customers will be able to evaluate with their objective while seeing the objective oriented images on your website. When clients visit your website, you would want them to get a positive impression of your organization irrespective of the size of the business. Accordingly, if your staff wears professional attire as per the dress code that is the first impression you present about your company to the client as first impression is always the best impression. Similarly like updated websites when for the first time, a client opens your website a professional look draws him and more followers to your website is expected soon. Consequently, your website gives a feeling to your clients that they have reached the right place and their search ends here with professionally managed website…also dress code. Thus your revenue is generated by virtue of higher retention rate of your customer who would possibly refer and provide leads of prospects. Call-to-action is a link which is provided in your website to become leads by completing any action on landing page. It could even be a button. It is necessary and important that an updated website must have call-to-action link or button on every landing page. Some websites may offer you the best professional look but they lack the usage of call-to-action. A professional dress code gives professionalism in every deed and will be keen to help and persuade clients in completing their preferred actions. Call-to-actions must be effectively used. The effectiveness of the website can be measured efficiently when the website is updated. However, this may not be possible with your old website as it may not contain appropriate tools or techniques that would enable in determining the effectiveness of your online presence. This could also include user recordings as testimonials, heat mapping and conversion tracking. Presently many tools and techniques make online presence more effective albeit only on updated websites. This is significantly relevant to professional dress codes. This compels the employees to be in a professional manner by following proper dress codes and realize the significance of their effective online presence. The important part of your website for the visitor is not its beauty or appearance but the relevant and key information that are presented. The visitor wants useful but appropriate information about your website in a nutshell. Needless to state, with a updated website you could very well communicate with the readers and even write copy that is lucid and effective. With 5 seconds at your disposal, keep your prospective visitor engrossed with your content. This exercise is similar with the dress code of the company. Organization that is on the lookout for professionalism even in their dress code, will give importance to effective communication skills. By default effective communication is able to engage the visitors of company. It is a gospel truth that if your website is not updated with advanced options including content, Google will not care to place you on the top rank in search results. It is assigned automatically that search engines will only look for the latest and relevant content valuable to the user. Your content, which may have been rated as a hall mark or gold standard a couple of years ago and not updated presently, may not interest the users. They will simply think that your organization is a couple of years old and does not use any advanced and latest updates that are trending at the moment. It is always considered that UX or user experience counts. Incidentally, the user experience has greater impact on your website. It refers to the total visitor experience of your site. The following points merit consideration: time taken in loading, providing the desired information rapidly, hassle free operation when users try to complete their action. In short, your website should be appropriately focused to get the right visitor with the best user experience in order to be prominently ranked. It is not difficult to update your website…it is easy. Avoid messy code, by updating your site with content management system like WordPress. Therefore, based on the specific requirements and objectives, website can be constantly optimized. Layout designs must be kept as fresh as possible and blogs updated on a regular basis. Keep refreshing the images and put out timely advertisements and promotions. By following these simple exercises, you could expect great results in drawing good number of prospective customers. 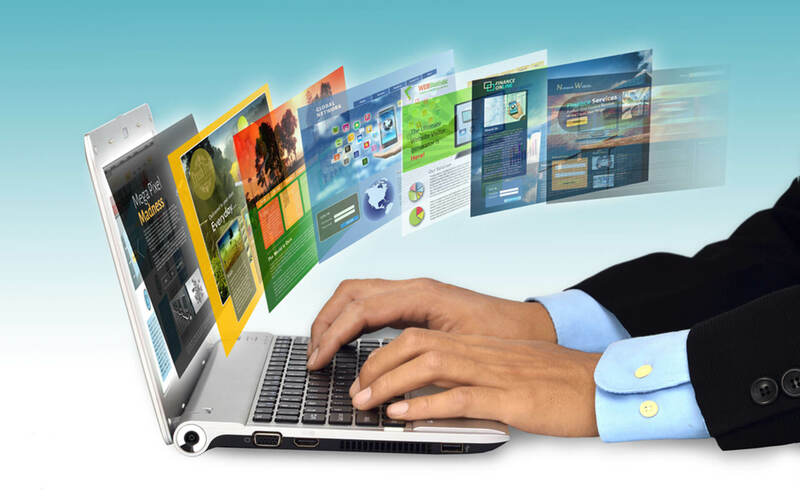 Many organizations give an opportunity to the website for client use to enable delivering the required service levels. In other words, an access to contact form will be provided to your customers in addition to shopping functionality, support form, blog etc. This gesture will make customers feel at home with the organization. This is possible only in an organization where professionalism is focused to build strong relationships. Again the concept is like maintaining the dress code.